Reply, 'For Mrs Harrison'. Directions regarding Mrs Harrison's onging condition. 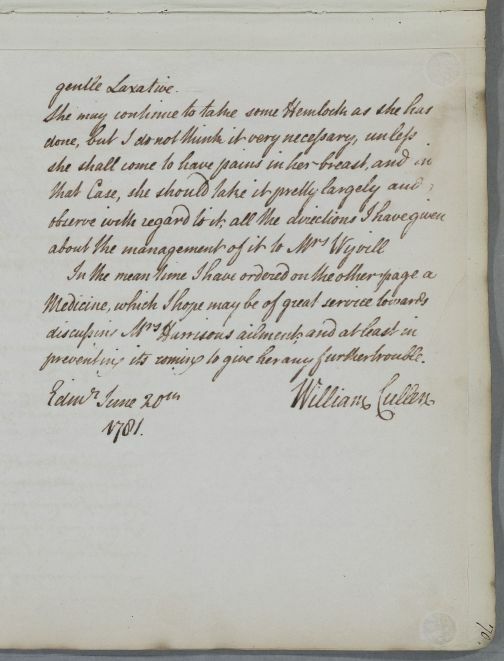 Cullen mentions his other reply to 2019, regarding Mrs Wyvil (letter 152), which he seems to have composed first. Summary Reply, 'For Mrs Harrison'. Directions regarding Mrs Harrison's onging condition. 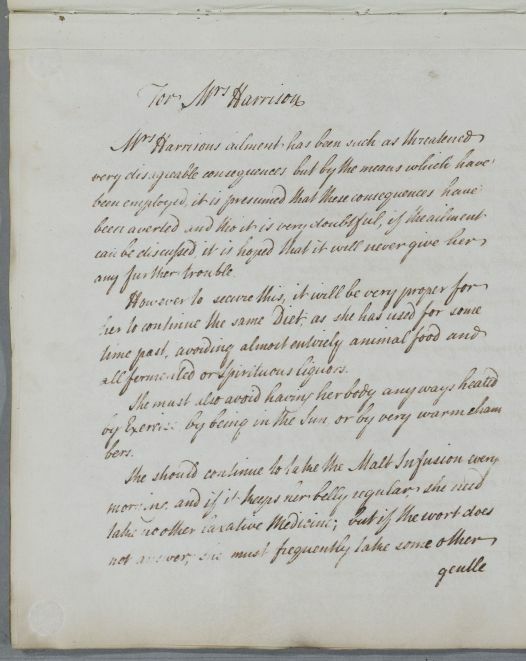 Cullen mentions his other reply to 2019, regarding Mrs Wyvil (letter 152), which he seems to have composed first. 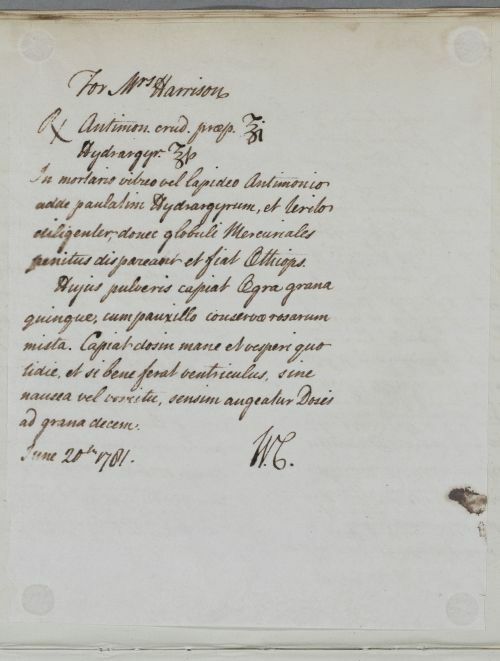 Case of Mrs Wyvill who has a disease of the breast. Case of Mrs Harrison who has a schirrous breast. all fermented or Spirituous liquors. preventing its coming to give her any further trouble. Take one ounce of a preparation of raw Antimony and half an ounce of Mercury. With the Antimony in a glass or stone mortar, add the Mercury gradually and grind thoroughly until the little beads of Mercury completely disappear and make Aethiops. Let the Patient take five grains of this powder, mixed with a little conserve of roses. Let her take a dose in the morning and evening every day, and if her belly bear it well, without nausea or vomiting, let the Dose be increased gradually to ten grains. penitus dispareant et fiat Æthiops.